"This is a better book than the Innocents, & much better written." Roughing It is a semi-autobiographical account, combined with wild exaggeration and storytelling, of the time Clemens spent in the Far West in the early 1860s as well as a trip he made to the Sandwich Islands in 1866. The first edition of Roughing It is a massive subscription book containing over 172,000 words in 79 chapters and 3 appendices. The volume features 304 illustrations, a number of which were characterizations of Clemens himself. Illustrators for the first edition were Edward F. Mullen, True Williams and Roswell Morse Shurtleff. The 1872 edition sold more than 90,000 copies the first year it was published, with royalties in excess of $20,000. In order to maintain uniformity in size with other volumes in the 1899 uniform edition, Frank Bliss divided Roughing It into two separate books which became not only Volumes 7 and 8 of the uniform set, but also parts 1 and 2 of the title work itself. New printing plates were produced and new full-page illustrations were commissioned. Running page headings that were present in the first edition were eliminated. Volume 7 of the uniform edition of Roughing It ends with Chapter 41. Volume 8 begins with new chapter numbering and what was once Chapter 42 in the 1872 first edition is Chapter 1 of Volume 8. The new uniform edition of Roughing It offered Clemens an opportunity to revise and refine his work. However, there is little evidence to suggest he took an active interest in doing so. The most extensive study of Roughing It and its revisions is featured in the University of California Press's 1993 edition of Roughing It from The Works of Mark Twain series. The 1993 edition, edited by Harriet Elinor Smith and Edgar Marquess Branch, guides the scholar through the maze of variants in spelling and punctuation and inconsistencies that the various typesetters introduced into the work and that publisher Frank Bliss had to deal with as he put together the 1899 edition. The list of errors that Frank Bliss compiled for correction, based on Morgan's proofreading, is in the collection at the University of Virginia. Evidence indicates that Bliss's list of corrections was read by Clemens and that he provided at least one correction -- changing the name of "Dead-House Gulch" (which occurs in the 1899 editions in Volume 8, Chapter 20, p. 185) to "Dead-Horse Gulch." From the first edition in 1872 (where the error appears in Chapter 61) through the 1899 uniform editions, the error had stood uncorrected. The error was corrected for the Riverdale and Underwood Editions which Bliss published in 1901. 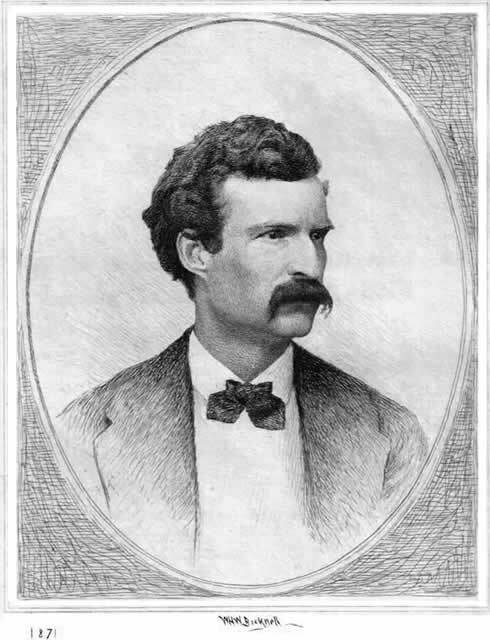 Frontispiece of Volume 7 etched by William Harry Warren Bicknell based on a photograph of Mark Twain dated 1871. Benjamin West Clinedinst (b. 1859 - d. 1931) was born in Woodstock, Virginia. His father Barnett Clinedinst was also an artist and photographer who served with the Confederate army. Benjamin Clinedinst attended Virginia Military Institute and studied art at the Ecole des Beaux Arts in Paris under Leon Bonnat and Alexandre Cabanel from 1881 to 1885. When he returned to the United States he opened a studio in New York and taught antique drawing at the Metropolitan Museum of Art's Gotham Art School. 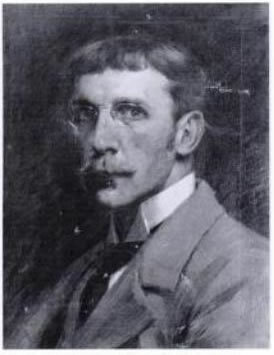 In 1896 he and fellow artists founded the Society of American Illustrators. 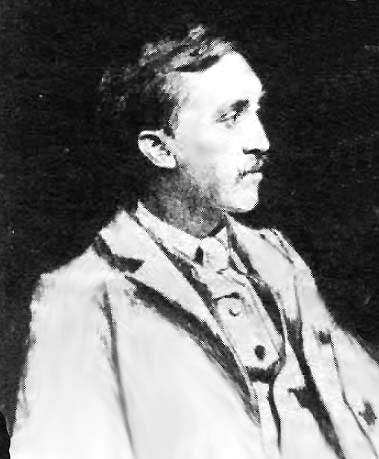 In 1900 he became director of the school of illustration at Drexel Institute in Philadelphia for a short time succeeding Howard Pyle. Several years later he taught at the Cooper Union in New York. His specialty was battle scenes and portraits of prominent men. Clinedinst contributed at least four pictures to the first edition of Following the Equator which was published by Frank Bliss and American Publishing Company in 1897. 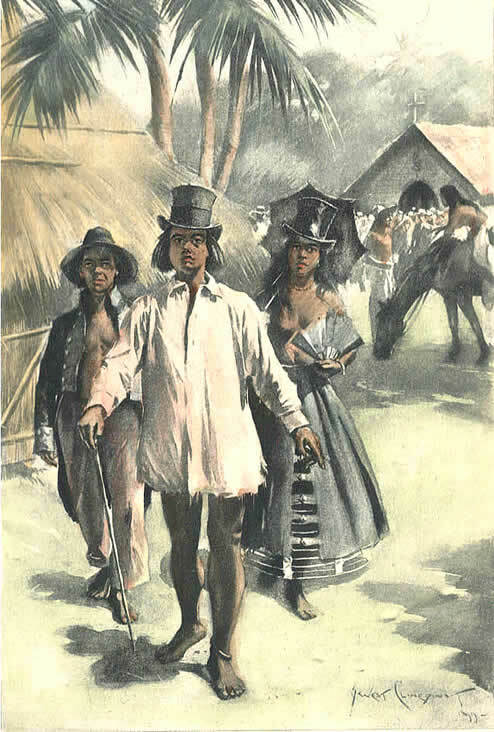 One of Clinedinst's original illustrations had been retained by Bliss for use in the 1899 uniform edition of Following the Equator. A letter from West to Bliss dated January 29, 1898 in the special collections at the University of Virginia lists a number of West's ideas for fresh illustrations for the new edition of Roughing It. Clinedinst provided eight full-page illustrations for the 1899 uniform edition. A receipt from Clinedinst to American Publishing Company dated February 3, 1899 indicates he received $800 for his work. His illustration titled "The Assemblage Was Dismissed" depicting Sandwich Islanders in various stages of undress was hand-colored and appears as the frontispiece of Volume 8 of the Riverdale Edition. Clinedinst's illustration "The Assemblage Was Dismissed" dated '99 was hand-colored and used as the frontispiece for Volume 8 of the Riverdale Edition. "Forrest Morgan Dies at His Home," Hartford Courant, 25 February 1924, p. 1. "Forrest Morgan Out," Hartford Courant, 4 February 1896, p. 6. Clinedinst, Benjamin W. to Frank Bliss. 29 January 1898. Accession No. 6314, Box 4. (University of Virginia Library, Special Collections). Clinedinst, Benjamin W. Receipt to American Publishing Company, 3 February 1899. Accession No. 6314, Box 8. (University of Virginia Library, Special Collections). The National Cyclopaedia of American Biography, Vol. XIV. (James T. White & Company, 1910). Online at google books. _____. The Quotable Mark Twain. (Contemporary Books, 1997). Twain, Mark. Roughing It, Volume I and II. Edition De Luxe. (American Publishing Company, 1899). _____. Roughing It. The Works of Mark Twain edition. Harriet Elinor Smith and Edgar Marquess Branch, eds. (University of California Press, 1993).